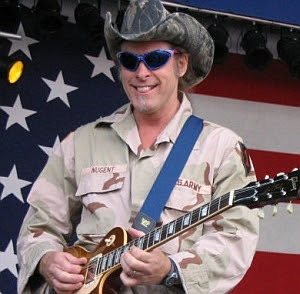 Ted Nugent has always been one of my favorite guitar slingers and he is a true patriot and philanthropist. As only Ted can, he describes what the tea party movement really is all about: Freedom, Liberty, and the return to using the Constitution and the Rule of Law in this country. It’s about holding corrupt politicians in BOTH parties accountable, and stopping this out of control Marxist government, Fedzilla, as Ted calls it. It’s no wonder Time Magazine chose Ted to write the introduction for Sarah Palin on the occasion of her honor as one of the World’s Most Influential Leaders. I constantly hang out with great Americans from every walk of life. We understand that the American Dream is about being the best that you can be, to work as hard as possible and be accountable in order to be an asset to our families, communities and country. We expect our government to secure our borders, keep us safe from our enemies, and play by the rules as laid out in the Constitution, Bill of Rights, Golden Rule and Ten Commandments, and otherwise pretty much stay the heck out of our way. We the people know that the government is supposed to work for us, not run amok and abandon all accountability as the out-of-control, gluttonous, criminal Fedzilla is currently overtly guilty of. The Tea Party is so simple, it’s stupid. Named after the uprising of Americans sick and tired of tyrants usurping the new American freedom lifestyle and dream, taxation without representation was merely the tip of that 1773 culture war spear, and now accurately represents the spirit of the 2010 Tea Party movement. This glorious experiment in self-government is not supposed to be a spectator sport as it has been reduced to for so long. As the boss of government, we the people were supposed to stay in touch with politics and politicians, making sure our will was the force behind policies and law making. Remember that? The Tea Party Americans do, and we are demanding its return immediately. The New Deal was a raw deal and the Great Society was for losers. A hand out creates the curse of dependency. A hand up is nationalism at its finest. 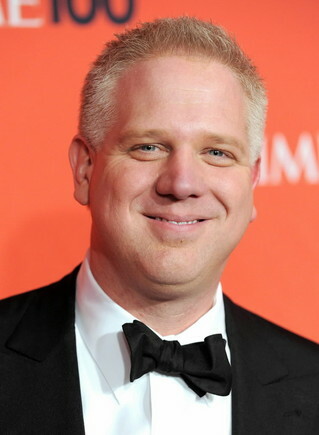 It is no surprise that the Glenn Beck’s and Sarah Palin’s of the world are so inspiring and in direct accord with the Tea Party. To listen to these great leaders is to hear the pulse of the best that America has to offer. Faith, hope, charity, honesty, a Herculean work ethic and a vapor trail of positive energy is all the Tea Party stands for. We don’t believe in bail outs, we demand accountability. We don’t want an exit strategy, we want a victory strategy. We can’t believe that Navy SEAL warriors are being indicted for roughing up a murderous terrorist leader in their heroic professional military action to bring in evil criminals. We are deeply offended by the speaker of the House telling us that we can find out what’s in the healthcare bill after they sign it and it becomes law. This is outrageous and it must stop now. We refuse to accept any longer the rampant corruption, cronyism, and outright abuse of power by willfully disconnected, arrogant bureaucrats. Who can believe that Fedzilla is taking Goldman Sachs to task while denying that government waste and idiotic policies are behind the economic ruin? How can such a rookie with zero experience call the shots when it comes to Iran developing nuclear arms? We are shocked that the President of the United States surrounds himself with self avowed communists, Marxists, Socialists, tax cheats, law breakers, far-left animal right’s goons, Mao and Che fans, and czars whose records are so far out of whack with American values as to make the head spin. We are mad as hell that Fedzilla continues to spend and waste our hard earned tax dollars on laughable programs, bail outs, ridiculous so-called stimulus packages and other boondoggles that have failed miserably in the past, and are failing miserably again. It is sheer lunacy to repeat actions and expect a different outcome. It is time to reign in Fedzilla, and the Tea Party is just that force to reckon with, and clearly the logical voice and action to get it done. A prime motivator for the Tea Party is Dr. Martin Luther King Jr., who so eloquently stated, “Those who engage in nonviolent direct action are not the creators of tension. We are merely bringing to the surface a tension that is already there”. Dedicated to standing up for our rights and the American Way through nonviolent direct action, just like the glorious and pivotal American upgrade of the civil rights movement in the 1960s, the Tea Party represents a long overdue wake up call for America, and more importantly, American politicians and its lapdog media megaphone. All that being said, anyone with a working brain knows that Fedzilla is behind every problem America faces today. But the real culprit in the current American tragedy is apathy—a nation with citizens who abandoned our prime responsibility to stay on top of things, to monitor our government, to research candidates, to vote intelligently. The burden falls square on the shoulders of we the people who bent over and let these rotten bureaucrats trample the American Dream. Better late than never, the Tea Party is a return to paying attention, remaining engaged, and good old American activism, the very soul of America. I salute the Tea Party and pray to God that it builds steam, galvanizes energy and focus, and enlightens enough Americans to begin the take back in November and beyond. Rock legend Ted Nugent is noted for his conservative political views and his vocal pro-hunting and Second Amendment activism. His smash bestseller Ted, White & Blue: The Nugent Manifesto, is now available at www.amazon.com. Nugent also maintains the Official Ted Nugent Site at www.TedNugent.com.